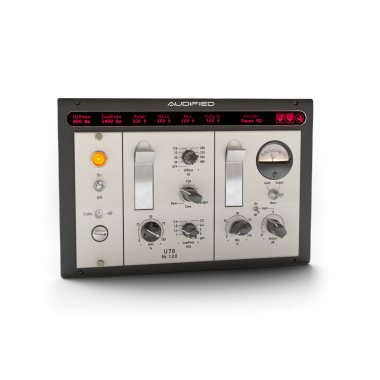 U78 Saturator gives you a chance to colour the precisely selected band with the circuitry of U73b Compressor. Intended to be used on bass, drums and vocals, but creativity knows no boundaries. Almost anything is possible in the digital world. With the right skills and technology, you can create absolutely anything you like... like the U78 Saturator. So we took the circuitry of the legendary U73b compressor and played around a bit to come up with some seriously satisfying saturation! We admire the range of the vintage gear which is impressive but limited. We admire the new analog gear bringing new sound colors and workflows to the audio production world. Modern designs sometimes copy the old gear, but generally, these two worlds are disconnected and the value is not combined. In U78, we mixed the vintage circuits value, the modern analog design and the software modeling. We performed changes in the vintage device circuitry so it can be used for completely different purposes than the original. And we have immediately created a software model of the result. 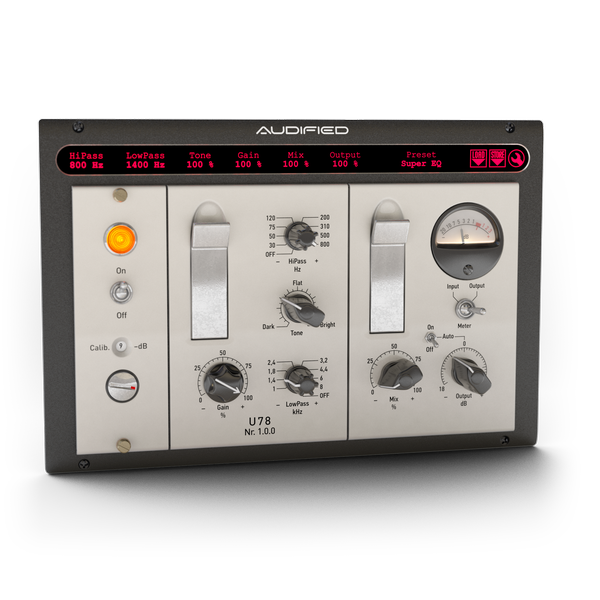 AUDIFIED, originally established for our hardware development, now covers our older software products (AUDIFFEX, previously DSound). We were the pioneers in audio hardware emulations. We were the first who brought audio FX plugins to MacOS X. And we were between the first companies who developed audio applications for live (real-time) performance. Audified is not only a business company. We also care about the future of audio SW/HW development. Janacek Academy of Performing Arts (JAMU) and DISK Multimedia division AUDIFIED realized a research project, bringing modern audio engineering technologies to the music education at the Academy. Working on this project, the idea to establish previously unavailable audio engineering studies was born.